“Home Is Where the Heart Is” – After a maintenance man saved the life of a lieutenant commander, the NCIS team uncovers his dark past which puts a local teenager in danger. Also, Sam must decide which colleague to take to the Los Angeles football game, on NCIS: LOS ANGELES, Sunday, Oct. 30 (8:00-9:00 PM, ET/PT), on the CBS Television Network. “Ghost Gun” – The murder of a navy machinist with high security clearance sends the team on a city-wide hunt tracking evidence. Also, Anna Kolcheck (Bar Paly) partners with Callen, and Sam assists Hetty in the on-going mole investigation, on NCIS: LOS ANGELES, Sunday, Oct. 23 (8:30-9:30 PM, ET/8:00-9:00 PM, PT), on the CBS Television Network. “Black Market” – After a Homeland Security agent is poisoned by a notorious Triad assassin, NCIS uncovers a warehouse of counterfeit purses and a money trail to stolen government funds. 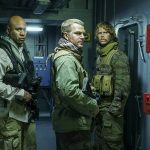 Also, Nell joins the team in the field, on NCIS: LOS ANGELES, Sunday, Oct. 16 (8:00-9:00 PM, ET/PT), on the CBS Television Network. Editor’s Note: Please note the revised airdate for the eighth season premiere. 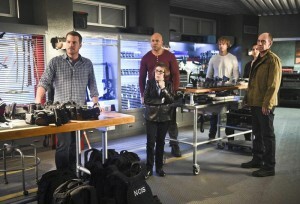 “Talion” – When Sam receives a distress code from his son Aiden (Tye White) that his school has been taken over by an extremist group, Sam, Callen, Kensi and Deeks rush to San Francisco to protect Aiden and free the hostages, on the seventh season finale of NCIS: LOS ANGELES, Monday, May 2 (9:59-11:00 PM, ET/PT), on the CBS Television Network.